Vermont, sometimes referred to as the Green Mountain State, is best-known for maple syrup production and forested areas that cover 75% of the landscape. Sports betting is something of an afterthought to the general population, mainly due to the fact that the 1992 Professional and Amateur Sports Protection Act made such forms a gambling illegal in all but four USA states. Fortunately for bettors in Vermont, there’s always a way around such restrictions if one is willing to break (or, at the very least, bend) the law. The purpose of this article is to discuss your options in detail, as well as summarize the various forms of sports that you can wager on. Before we go any further, please note that I never went to law school, never received a license to practice law, and never caused Jack Nicholson to launch into a self-incriminating rant while under oath. I am a total amateur when it comes to issues of legality, so I strongly recommend consulting with a professional attorney before launching your career as a sports handicapper. There are no major sports franchises in Vermont, mainly due to the state’s size. Burlington, the largest city, only has a population of just over 42,000, while the capital of Montpelier clocked in at a miniscule 7,855 during the 2010 census (the smallest capital in the United States). While the NBA, NFL, and MLB may be staying away, there are smaller leagues and franchises that are happy to provide entertainment to the paying public. Sports gamblers won’t be able to find lines for these games at online books, but a local oddsmaker might be willing to take the action. At the very least, you should be able to find some homer who’s more than happy to risk a few bucks. Most betting lines on college sports revolve around NCAA Division I contests. Unfortunately, anyone in the mood for some collegiate action within the state only has one place to turn: the University of Vermont. Based in the city of Burlington, this college sponsors 10 athletic programs for women and 8 for men (with each bearing the team name of the Catamounts). The male program offers the following sports: basketball, cross country, ice hockey, indoor track and field, lacrosse, outdoor track and field, soccer, and skiing. The women’s program offers all the aforementioned sports, as well as field hockey and swimming/diving. • The men’s soccer team advanced to the second round in the 2007 NCAA tournament. • The men’s ice hockey team has appeared in the NCAA tournament in 1996, 1997, 2010, and 2014. • The men’s ski team has captured six national titles in 1980, 1989, 1990, 1992, 1994, and 2012. • The women’s basketball team has made at least 18 semifinal appearances in the America East Tournament. • The men’s basketball team has qualified for the NCAA tournament in 2003 to 2005, 2010, and 2012. In 2005, they pulled off a major upset by eliminating #4 Syracuse. While the men’s basketball team from the University of Vermont isn’t exactly a powerhouse, it does give residents of the state something to be optimistic about when March Madness rolls around. Some show their support by placing friendly wagers with co-workers and family members, while the majority of fans throw a few dollars into an office pool and attempt to create the most accurate tournament bracket. Online gambling isn’t illegal in the state of Vermont, but the 2006 passage of the Unlawful Internet Gambling Enforcement Act has made participating more difficult than it has to be. This oppressive piece of legislation from the Bush administration prohibits monetary transfers for the purposes of gambling, and a number of corporate executives and domain names have paid the price for refusing to comply. The willingness of the U.S. government to prosecute violators has led numerous online casinos and sportsbooks to pull out of the American market. Fortunately, there are just as many brave souls sticking around, so finding an online bookie is just a matter of persistence. It should also be noted that this law was put in place to punish companies and not citizens. If you can find a reliable bookmaker on the Internet, you can make all the wagers you like without fear of legal reprisal. While betting online should be a snap, you always have the old-school options of making wagers with a friend or tracking down a local bookie. Both of these possibilities have worked well for over a century, although it’s always wise to exercise caution when placing bets with someone who doesn’t have to answer to a regulatory body. I suggest betting small at first and then increasing your wagers once you’ve confirmed that winnings are going to be paid out. 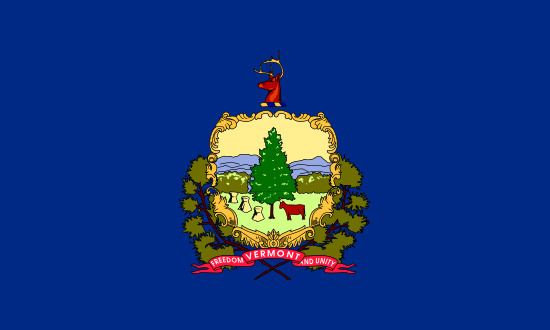 Like the majority of states in America, Vermont sports betting is somewhat limited within the framework of the law. Only by committing a minor crime can you hope to indulge your passion for gambling, although this can range from side bets with buddies to placing wagers with an Internet sportsbook. It stinks that a taxpayer has to go to such lengths to make an NBA game more interesting, but that’s just the way it is (at least at the moment). Fortunately, gambling takes a backseat to murder, arson, theft, and other serious crimes in the eyes of law enforcement. As long as you don’t put a sign on your roof reading “Illegal Gambler Inside,” you should be able to go about your business without encountering any difficulty. Besides, Vermont cops are usually too hopped up on maple syrup to care.